Sideshow Collectibles is proud to announce the Darth Maul Mythos Statue. Inspired by the Star Wars Tale 'Nameless', the powerful Sith is envisioned in a strong, almost meditative pose; incorporating design elements reminiscent of a Ronin warrior. 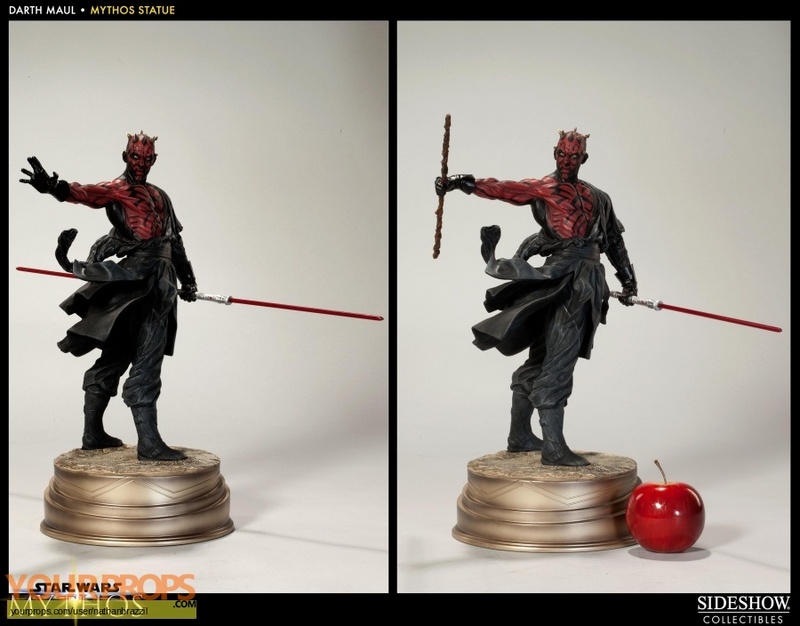 Crafted in 1:5 scale with Sideshow's trademark attention to detail, the Darth Maul Mythos statue stands over 18 inches tall; a distinctive addition to any collection. view all 107 items of "nathanbrazzil"
** The content of this listing is the sole responsibility of nathanbrazzil. Yourprops.com, its owners, agents and assigns assume no liability.